Properties in Bangkok average 4.1 out of 5 stars. Property 24: COMPACT DUPLEX - THONGLOR! Private house, 5min walk to KhoaSan Rd. Property 34: Private house, 5min walk to KhoaSan Rd. Natural White 1 BR 1 BT Peaceful and Luxury Condo. Property 47: Natural White 1 BR 1 BT Peaceful and Luxury Condo. 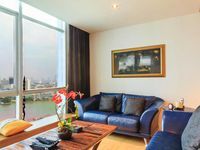 Great view of Chao Phraya river and Bangkok skyline, easy and convenient access to public transportation, restaurants and stores. 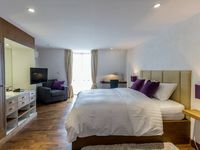 Good bed and quality linen and excellent communication with management. The condo is smaller than the photos,e,g. Kitchen and a small broom is lacking to clean the floor. All in all good value for the rental cost. nice and clean house. It takes about 15mins to the bts station. and there are some restaurants near here.